From 1st June 2017 The Nursery Theatre opens a new improv theatre at 2 Finsbury Square as part of the Theatre Delicatessen building in the Liverpool Street area of the City. As well as o ne off specials and resident nights the theatre hosts a diverse range of shows from the London improv community and beyond. Go to a show and you'll discover the different improv styles from theatre to comedy. There are performance opportunities for volunteers, students and supporters as well as jam nights and headline prime time shows. 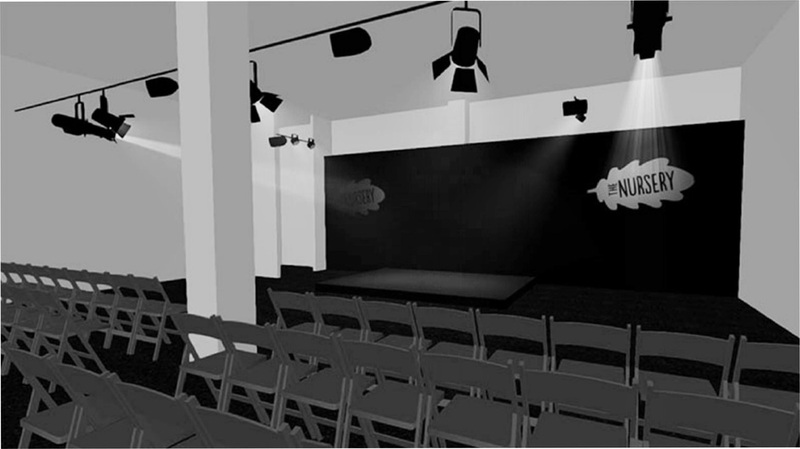 Welcoming and inclusive, this is a performance space for all improvisers and gives audiences a chance to see some thoroughly entertaining improv shows. What are the best dining options near The Nursery Theatre London? The Nursery Theatre gyms, sporting activities, health & beauty and fitness. The best pubs near London The Nursery Theatre. The Nursery Theatre clubs, bars, cabaret nights, casinos and interesting nightlife. Where to have your meeting, conference, exhibition, private dining or training course near The Nursery Theatre. From cheap budget hotels to luxury 5 star hotels see our discounts for The Nursery Theatre hotels, including 196 Bishopsgate Serviced Apartments from 85% off.